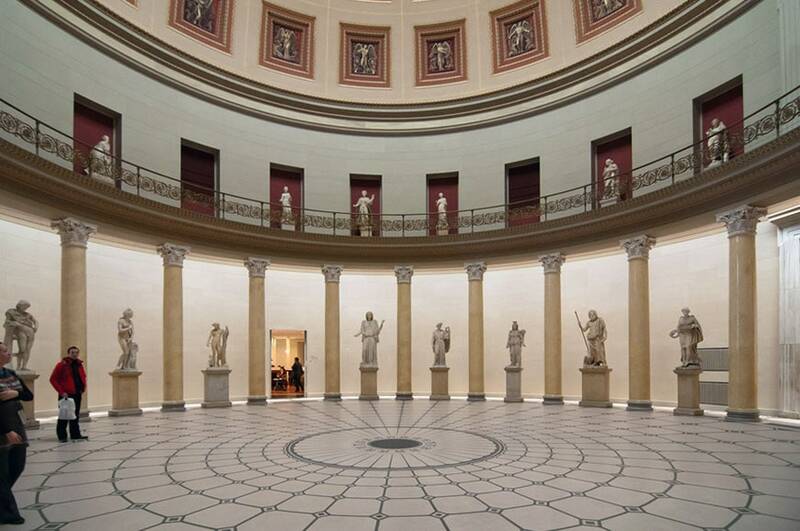 The Altes Museum (Old Museum) in Berlin is a museum of ancient art, renowned for its vast collections of Greek, Etruscan, and Roman antiquities. 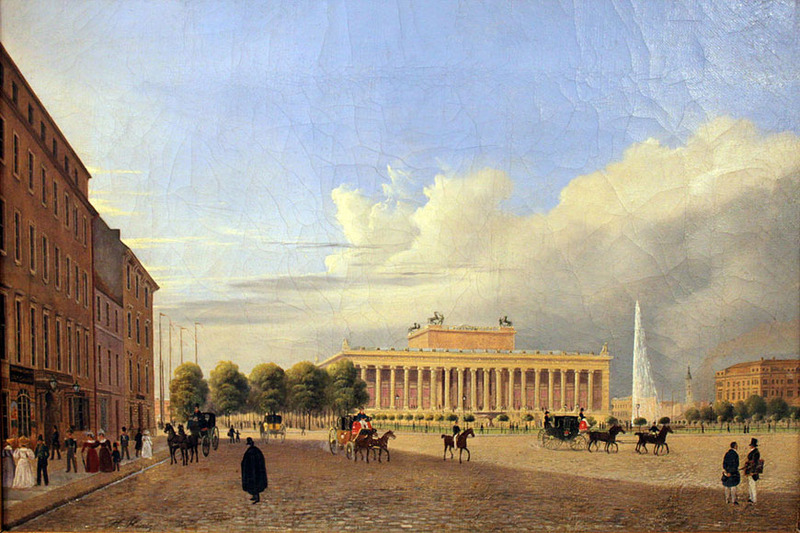 Opened to the public in 1830 as the Königliches Museum (Royal Museum, the current name was adopted in 1845), the Altes Museum is housed in an imposing Neoclassical building, designed by Prussian architect Karl Friedrich Schinkel, located on the Lustgarten park in the Museuminsel (Museum Island) cultural district of Berlin. 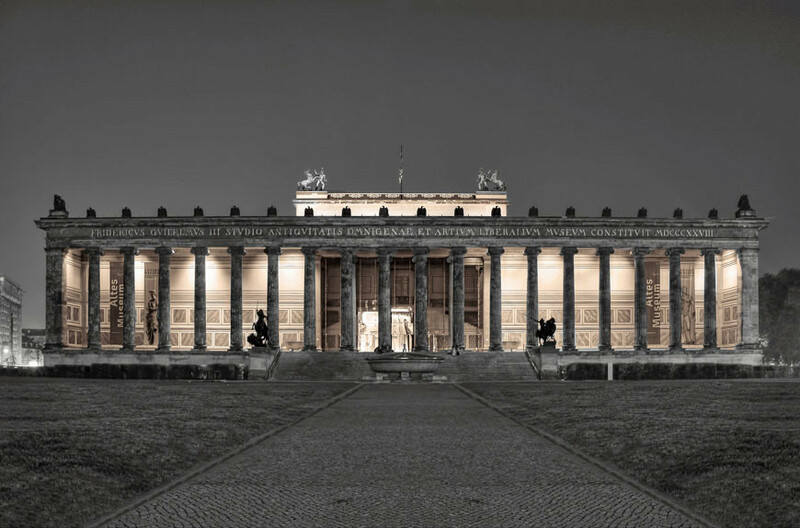 Schinkel’s design carefully mixed various references to classical architecture, such as the frontal portico adorned with Ionic columns and a large rotunda, clearly inspired by that of the Pantheon in Rome. The museum’s building, severely damaged during World War Two, was re-opened in 1966 after a major restoration. In 2011, the museum underwent a complete renovation, after a design by Hilmer Sattler architects. 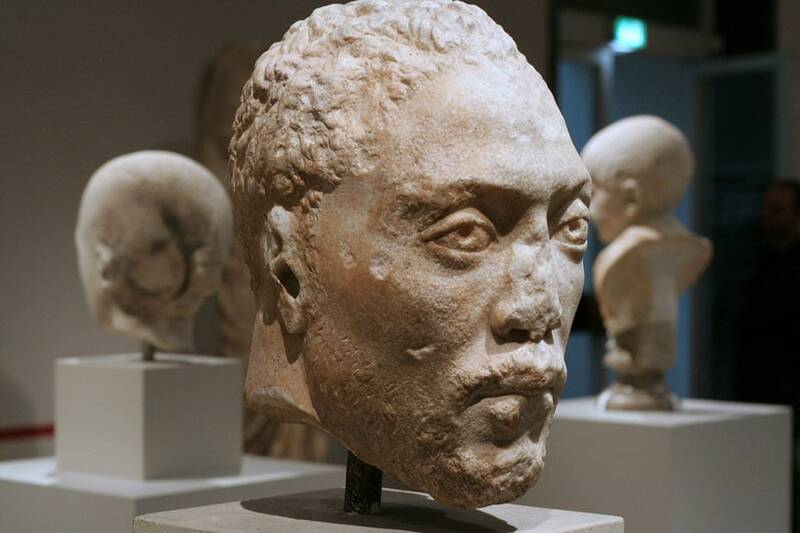 The permanent collection of the Altes Museum, known as Antikensammlung, encompasses Greek, Etruscan and Roman antiquities, including sculptures, mosaics, sarcophagi, vases, and jewels. 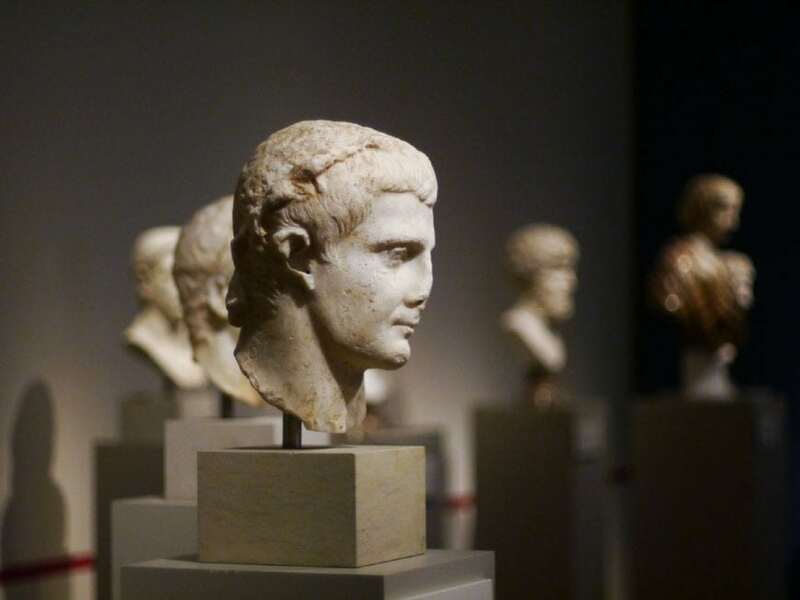 Chronologically arranged, artifacts on view in the permanent exhibition include world-famous masterpieces – such as the classical Greek sculptures of the Berlin Goddess (580-560 B.C. 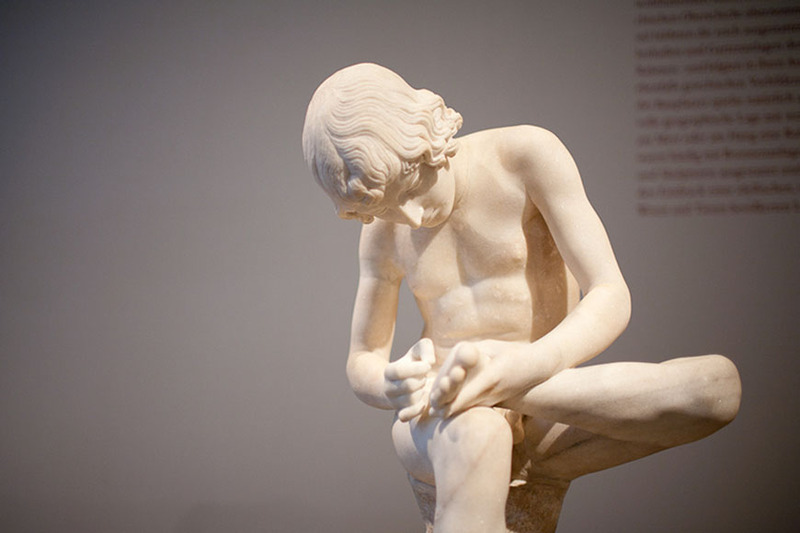 ), the Praying boy (ca. 300 B.C. ), and the Portrait of Pericles (ca. 430 B.C.) -, the Roman-Hellenistic Spinario sculpture (225-200 B.C. 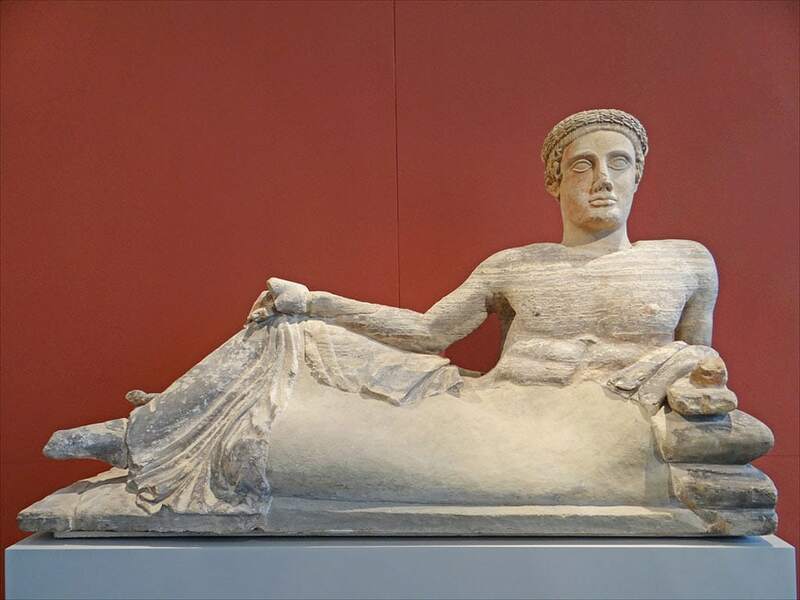 ), the Recumbent man Etruscan funerary urn from Chiusi (ca. 500 B.C. 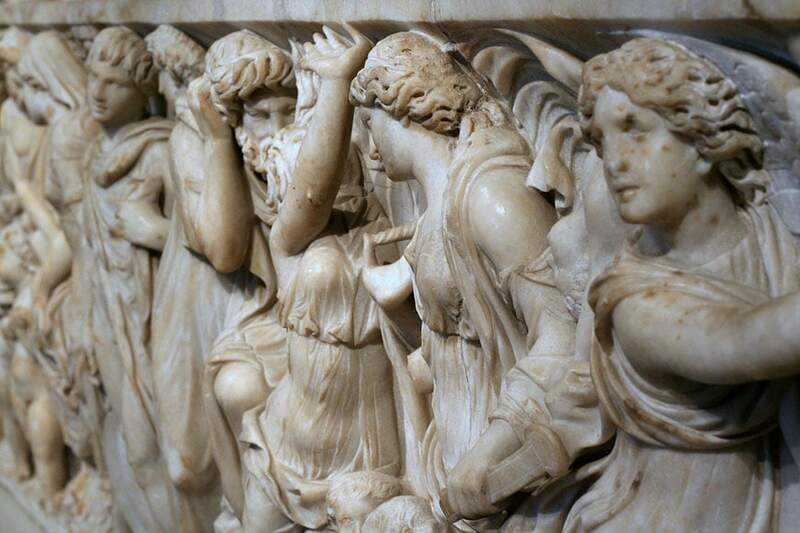 ), the Medea Roman marble sarcophagus (140 B.C. 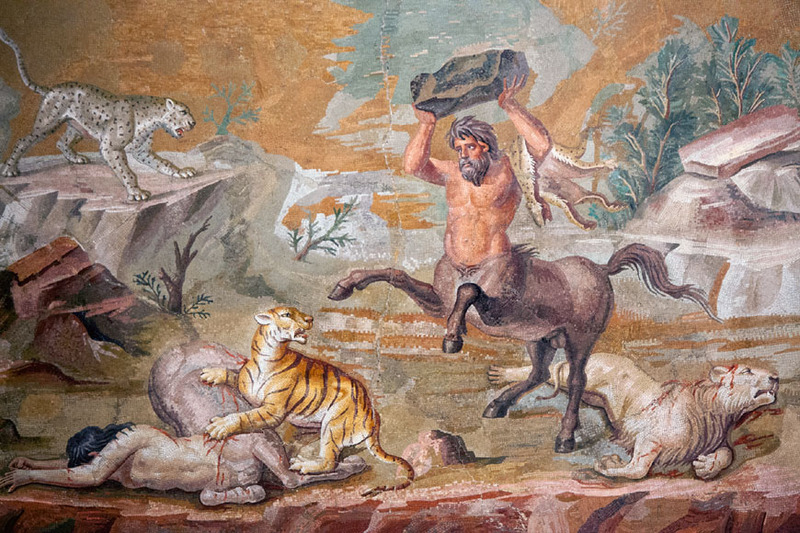 ), and the Centaurs floor mosaic from Emperor Hadrian’s Villa in Tivoli, near Rome (120-130 A.D.). The museum also holds a 500,000-piece collection of coins and medals, dating from the 7th century B.C. to the present, a selection of which is on view in the Münzkabinett gallery. 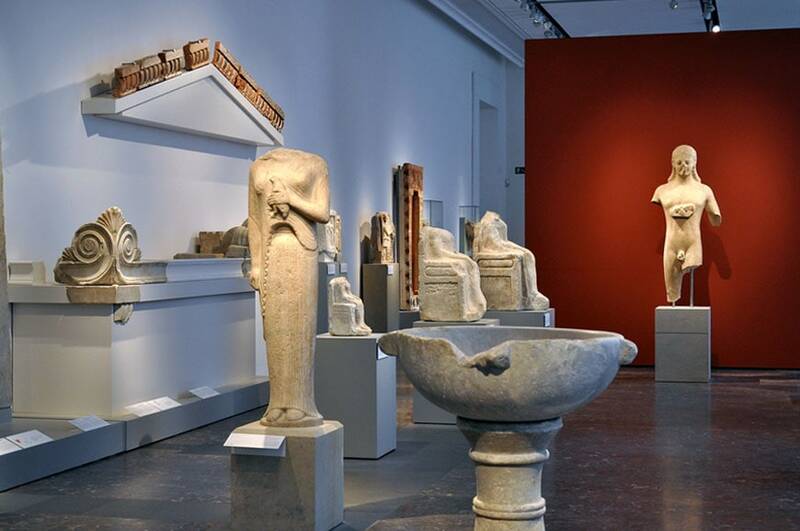 The Altes Museum also organizes temporary exhibitions, guided tours, workshops and educational programs for adults and children. The museum’s building, fully accessible to impaired people, includes a cafe, and a shop.